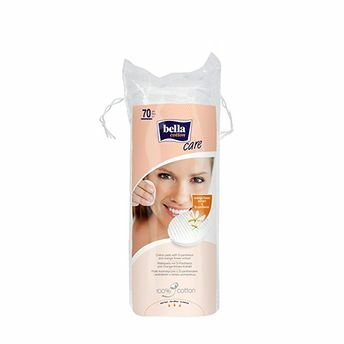 Bella Cotton Pads are perfect for all general cleansing needs. These premium quality cotton pads are enriched with Orange extracts and D-Panthenol soothes and relaxes your skin. These Pads made of 100% cotton have been designed especially for the most demanding women. Soft, delicate and extremely absorbent, these are the best both for make-up removal, nail polish removal and day-to-day skin cleansing. They don't deform and provide exceptional comfort. Enchanting package will attract all women. Explore the entire range of Makeup Remover available on Nykaa. Shop more Bella products here.You can browse through the complete world of Bella Makeup Remover .